Normal series since 1997. 2006 onwards plate style. NO = Námestovo. 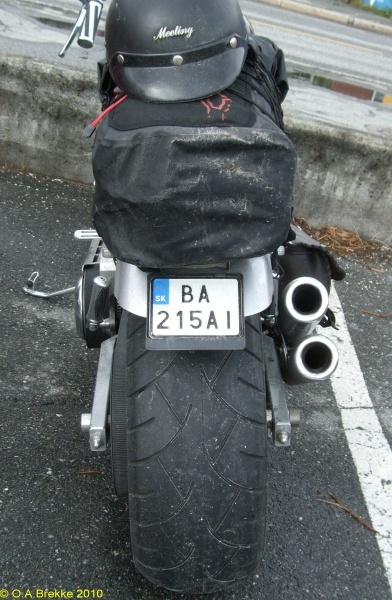 Motorcycle series since 1997. 2006 onwards plate style. SC = Senec. 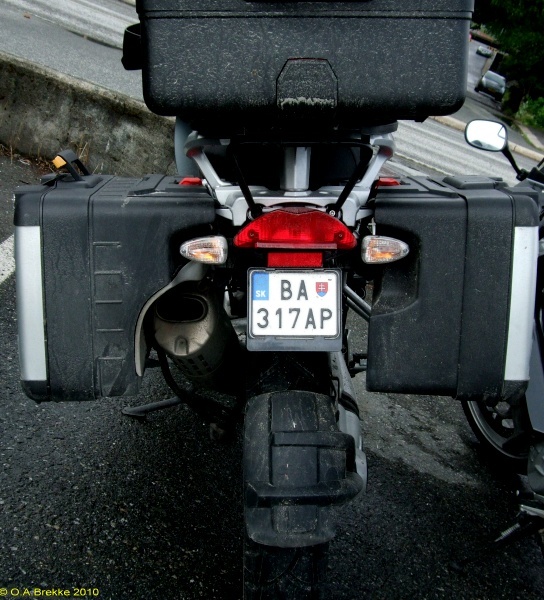 Motorcycle series since 1997. 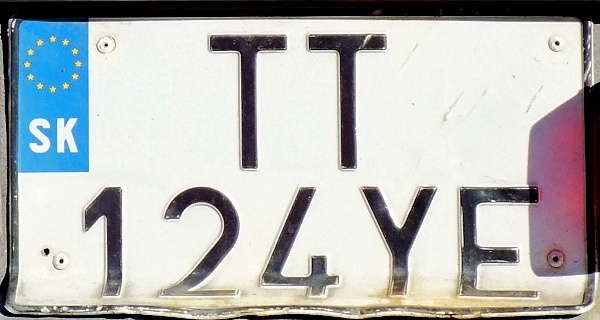 2006 onwards plate style. Small size. 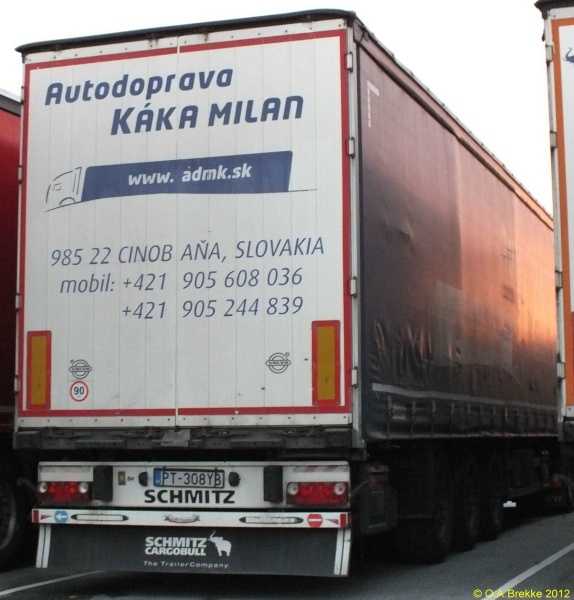 BA = Bratislava. Trailer series since 1997. 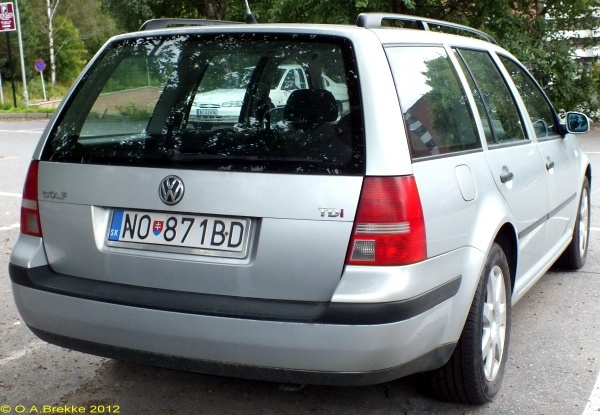 2006 onwards plate style. NZ = Nové Zámky. Y = Trailer. Personalized series since 1998. 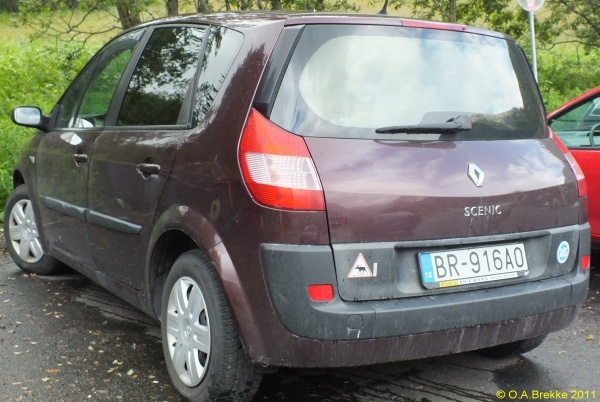 2006 onwards plate style. SC = Senec. Normal series since 1997. 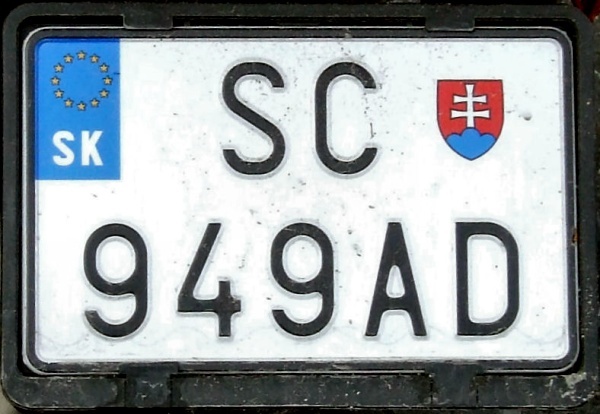 1997-2004 plate style. SC = Senec. Normal series since 1997. 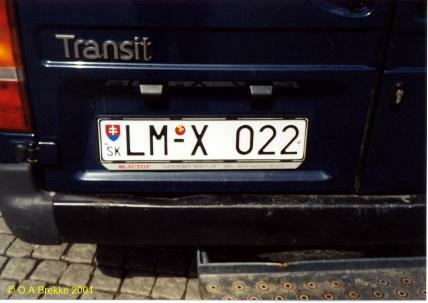 1997-2004 plate style. ZV = Zvolen. Trailer series since 1997. 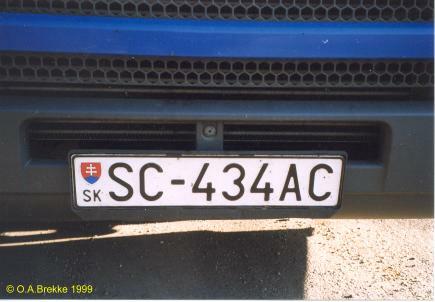 1997-2004 plate style. 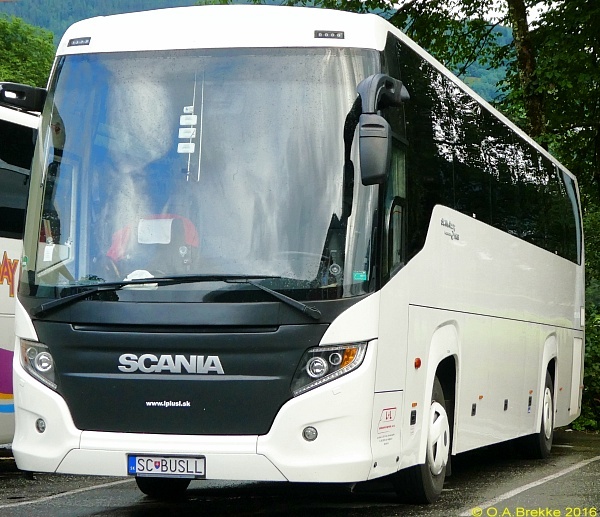 BA = Bratislava. Y = Trailer. Official series since 1997. 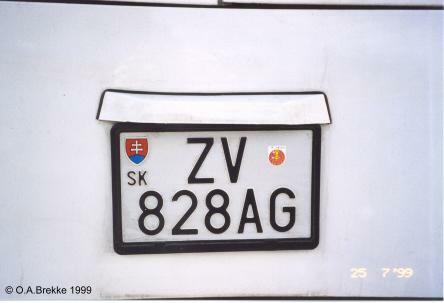 1997-2004 plate style. 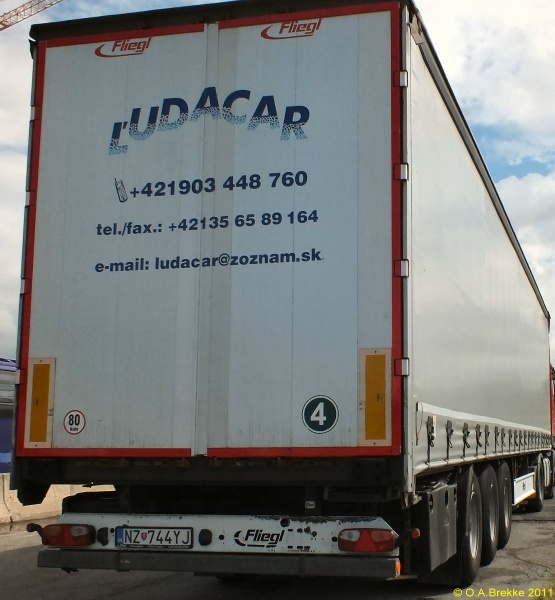 LM = Liptovský Mikuláš. X = Official. Normal series since 1997. 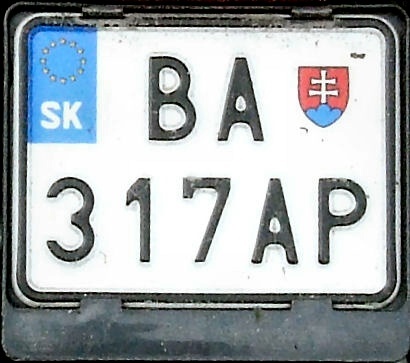 2004-06 plate style. BR = Brezno. Motorcycle series since 1997. 2004-06 plate style. Small size. 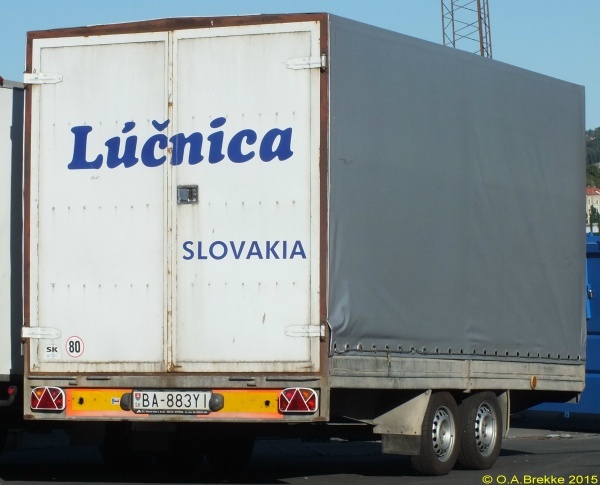 BA = Bratislava. Trailer series since 1997. 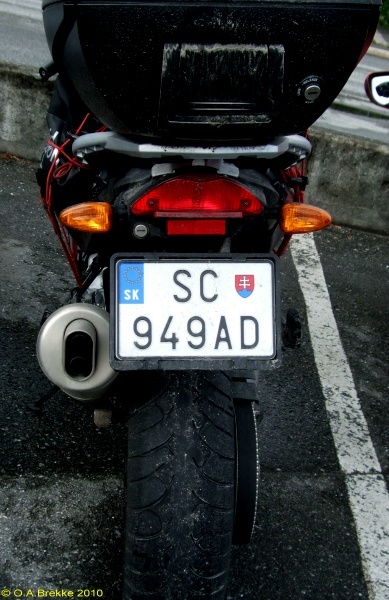 2004-06 plate style. 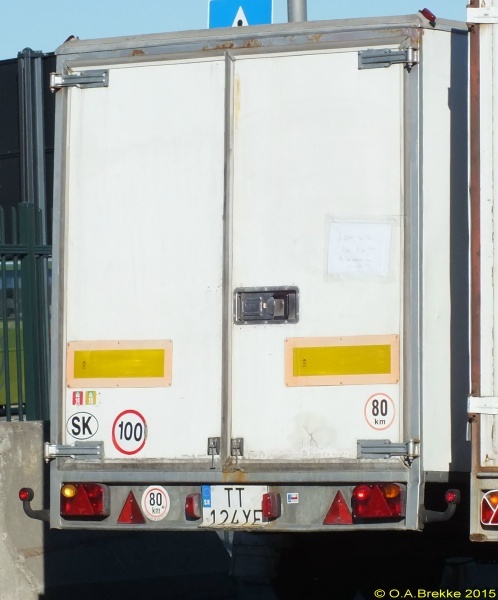 PT = Poltár. Y = Trailer. Trailer series since 1997. 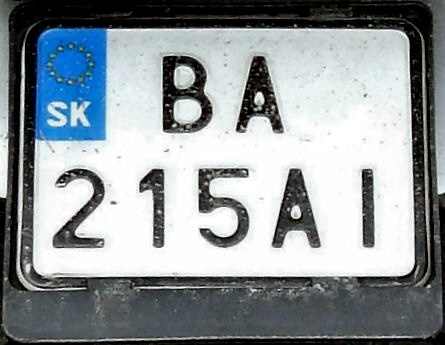 2004-06 plate style. TT = Trnava. Y = Trailer.